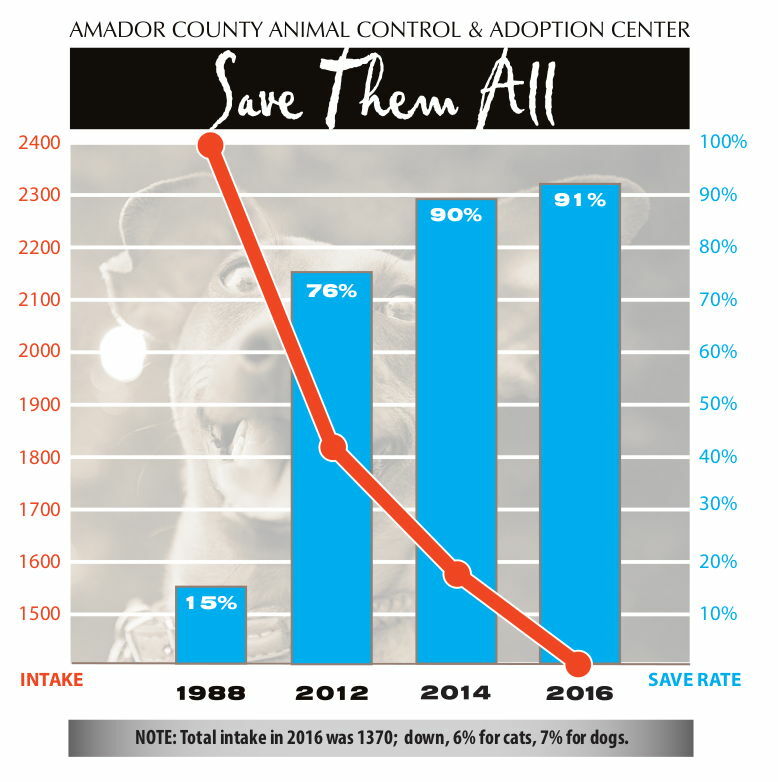 In 2017 our intake of cats and dogs fell by 7% which was encouraging with all of the spay/ neuter programs we offered, but we are proud to report that 91% of the animals who entered the shelter were placed into homes, went to Breed specific rescue groups, returned to their colony or placed in barn homes. What this shows is that a team of people is necessary to help these pets get evaluated, treated, spay/neutered and placed where they can live out their lives. 1370 dogs, cats, kittens and puppies made their way to our shelter in 2017. Our separately-funded program to provide assistance for animals which require medications or treatment which is outside of the norm. We do what we can to help those in need. This fund has assisted more than 172 animals through 2017. Procedures have included heart worm treatment, tumor removal, dental cleaning and extraction, orthopedic surgery, eye surgery and other life saving procedures. This is a complex set of programs which includes our Trap/Neuter/Return (TNR) program for Feral Cats, as well as our programs to evaluate and place cats into homes, both as 'working' animals (barn cats) and pets. In 2017, 196 Barn Cats were adopted, totaling 1156 since the program inception. Contact person for the Community Cats program is Jeff Holman, who can be reached at 209-304-0928. This program takes in shelter dogs deemed 'unadoptable' for a variety of reasons, and puts them through a 'Canine Good Citizen' training system to correct behavioral issues. Once these dogs have graduated, they are offered for adoption to forever homes. In 2017, 14 dogs were transferred to Twin Cedar K9 with all 14 of those already adopted to their new homes for a total of 295 successful adoptions since the inception of the program.